It was the exposure of drugs, alcohol, and violence that shaped a false identity for me. 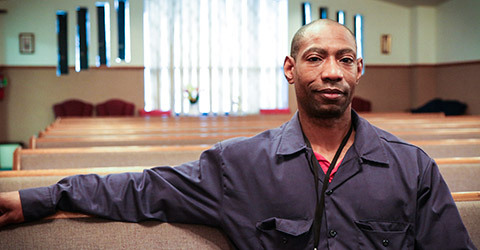 Drugs and alcohol served as a veil to the reality of a lost society, with two options for an African-American male in the inner city of Chicago; prisons or death. At 15 years of age, I was a full blown addict with little hope or desire. By the age of 19, drugs and alcohol were my only motivation and violence as a source of control. At 19 years old, I found myself serving a 25 year prison sentence. day of execution had arrived. I expected him to plead for his life, but instead he handed me his bible and said " ... I'll see you later." Six years later I was released from prison. I wanted a different life for myself, but the only thing I knew were the streets. I lived the "street life" for the next eight years. In 2009 I was living in an abandoned basement in Milwaukee and knew I needed help. After a two week drug binge, I was at my lowest point when I thought of my cell mate. I walked out of the abandoned basement with my cell mate's bible. When I got outside, I found two guys talking about the Adult Rehabilitation Center. I learned it was about 10 miles away and immediately began walking. 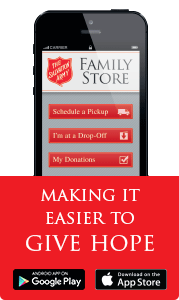 After graduating from The Salvation Army ARC Program, I was hired as the Resident Manager. In 2011 was promoted to the Warehouse Manager's position. I love working at the ARC because I can do God' work. Each and every day, I can help men understand the identity that Christ called for them. Daily I thank God for bringing me out of the "madness." Today I am a husband and father, but more importantly, I am a child of God.